Regardless of the type of real estate transaction you’re considering, the professionals at ER Lewis & Company recognize that, large or small, it is an important one simply because it’s important to you. Be it residential, commercial, investment or leasing, we have the expertise to ensure that your next real estate transaction results in maximum benefit for you. 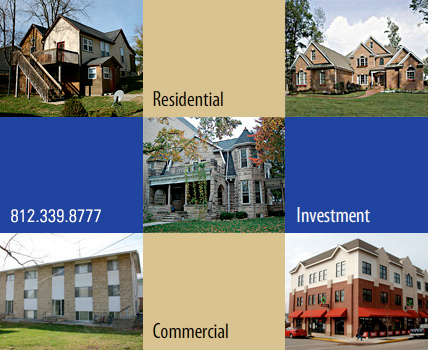 ER Lewis & Company is a proud member of the Bloomington Board of REALTORS©, the Indiana Association of REALTORS©, and the National Association of REALTORS©. View a documentary on the restoration of the Oddfellows Building.